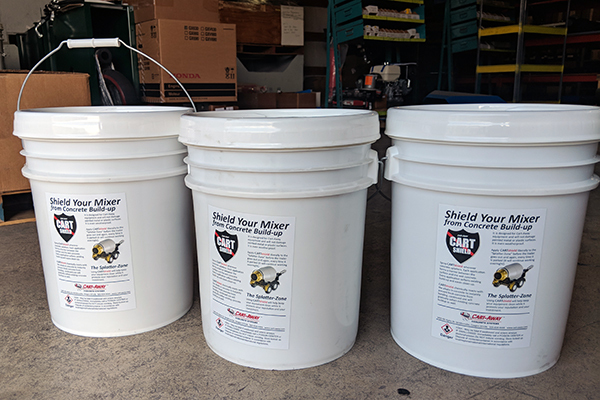 Shield Your Mixer from Concrete Build-up. This is spray-on magic for your concrete mixers! Join smart operators who never let a trailer leave without this protective shield. 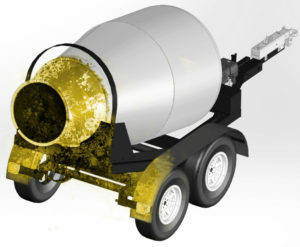 Shield Your Towable Mixer from Concrete Build-up. Apply CARTshield liberally to the “Splatter-Zone” (see picture left) before the trailer goes out, and again every time the trailer comes home. The chemical film will continue to clean the trailer as it moves down the road or while it sits overnight. 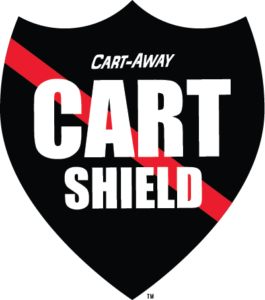 CARTshield is designed for all Cart-Away new or used equipment and will not damage painted metal or plastic parts. Using this spray will save your equipment investment and improve your image in the community. Spray CARTshield wherever concrete splatters. Each application forms a barrier between the trailer surfaces and the wet concrete. Every application softens existing concrete build-up and eases future clean-up. CARTshield chemically reacts with the alkalis in concrete to instantly prevent fresh concrete from bonding. Continued use will gradually soften and remove any existing concrete build-up on the trailer as well. Using CARTshield will help keep your equipment clean, while it protects your reputation as a quality operation. 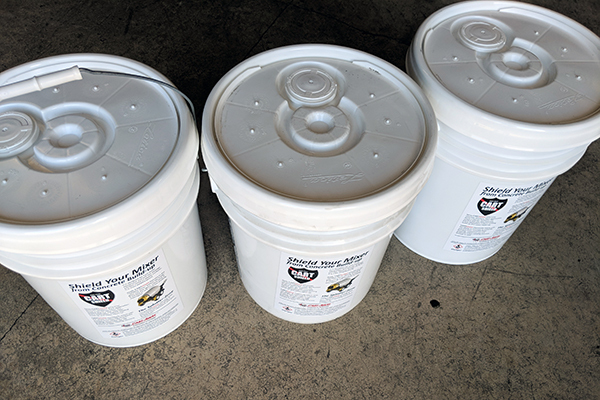 The liquid comes in a 5-gallon pail or 55-gallon drum and is applied using a standard hand-sprayer. We also suggest that you dedicate a pressure washer for use in trailer clean-up. This combination is the best practice for Cart-Away equipment maintenance. 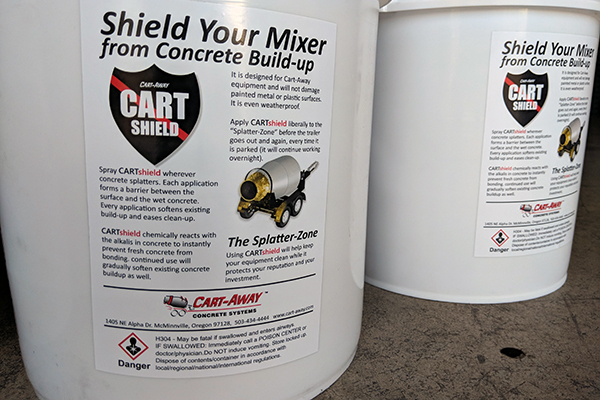 Use CartShield on every Cart-Away, U-cart, Trailer Haul, MixRight, Shortstop or Titan towable concrete mixer.